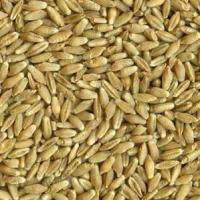 SENSORY REQUIREMENTS: Ripe grain, typical color, live pests free, foreign smells free (e.g. saprogenous, destructive, mold, fermentative, stale, chemical, rancid, acid, sour), noxious impurities free, moulds free, decayed grains free. STORAGE REQUIREMENTS: Storage spaces have to be clean, dry, easily ventilated, moulds free, live pests free and foreign smells free. RAW MATERIAL ACCOMPANYING DOCUMENTS: Delivery note. OTHER REQUIREMENTS: Raw material has to be in accordance with EU legislation. Payment: We can pay only after confirm quality. For sure we can make or open depozit on behalf your company.